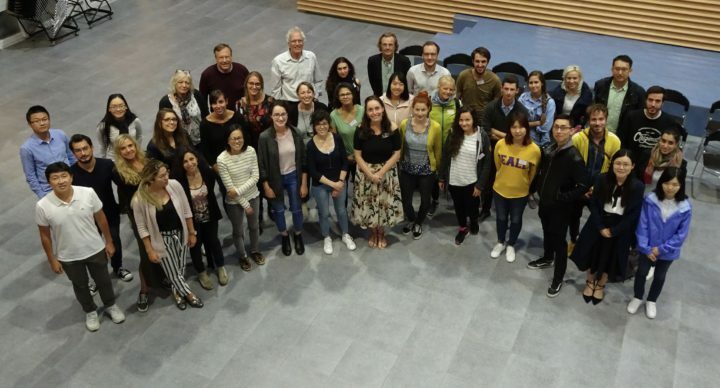 With the recent developments, current limitations and challenges in cancer therapy at its core, the Summer School offered the 35 participants an opportunity to enhance their knowledge related to different aspects in the field of cancer research and treatments. The group of participants consisted of 3 selected PhD/MSc students from each of the 9 Eurolife institutions as well as 8 PhD students from several Chinese top-universities. The academic background of the participants was diverse (medical, molecular biologist, imaging, etc), The testimonials of the participants will soon be available HERE. The Eurolife Summer School 2018 was coordinated by Prof. Peter ten Dijke, LUMC and Prof. Arne Östman, Karolinska Institute. As part of the program, Prof. Östman presented the Eurolife Distinguished Lecture and received the corresponding Eurolife medal. Besides lectures from Dutch senior researchers, presentations were given by scientists from several other Eurolife institutions. On the last day of the event, the participants were given the Eurolife certificate for their participation in the Summer School. For more information on the Program, please refer HERE.